Why do you have to stay cooped inside your home, when everyone is celebrating the festival of colors, Holi? Is it because the stubborn colors won’t leave the skin when you finish a game of color? Let that not dampen your mood and make you stay put in a room! 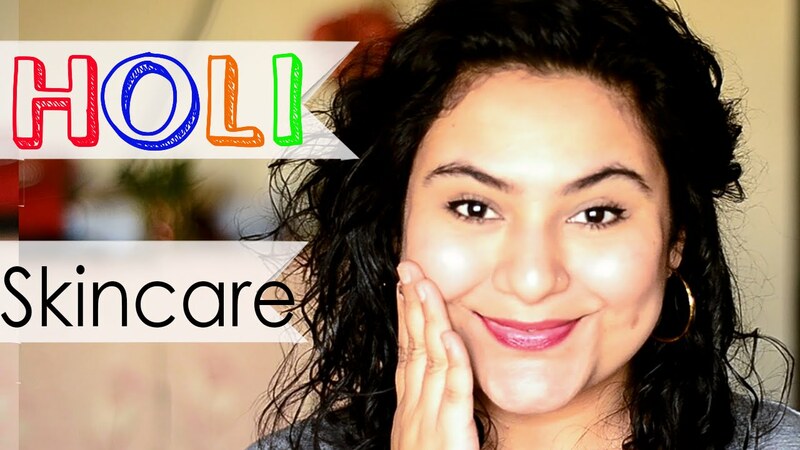 Your skin is precious and that is why, we shall share a couple of tips on skincare before and after the game of Holi, which you should adhere to. Have a good read at the pointers below and don’t sacrifice your happiness this time! The night before holi is holika, and after the bonfire happens and the party is over and done with, get home and apply two layers of coconut oil on your skin. 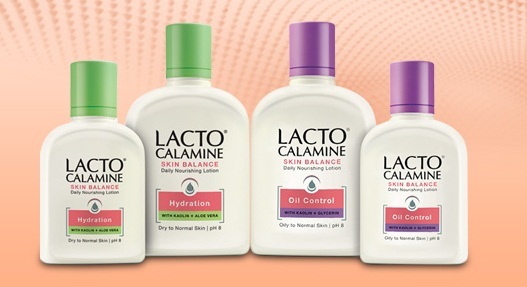 This is the best way to keep your skin hydrated and safe when you play holi the next morning with family and friends. 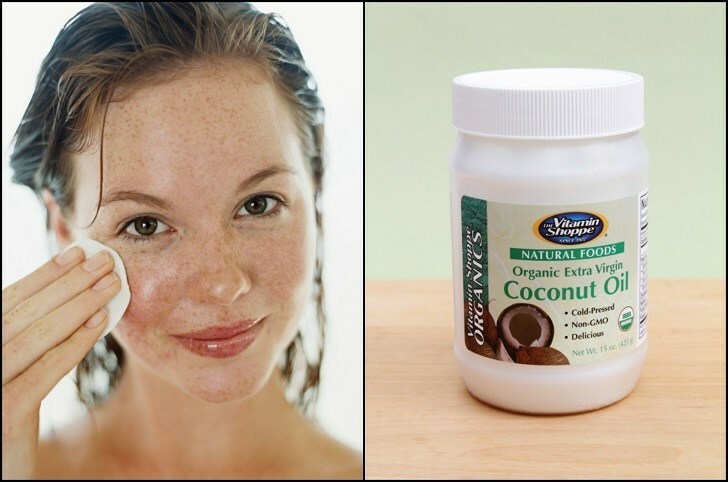 Since coconut oil would form a coating on the skin, the colors wouldn’t stick to the skin as it usually does. Even powder colors would lump off and fall away. Once the coconut oil is applied, wait for a couple of minutes and then with a warm towel wipe it off. In all probability, you wouldn’t be wearing any makeup as such before a game of holi or while playing it. 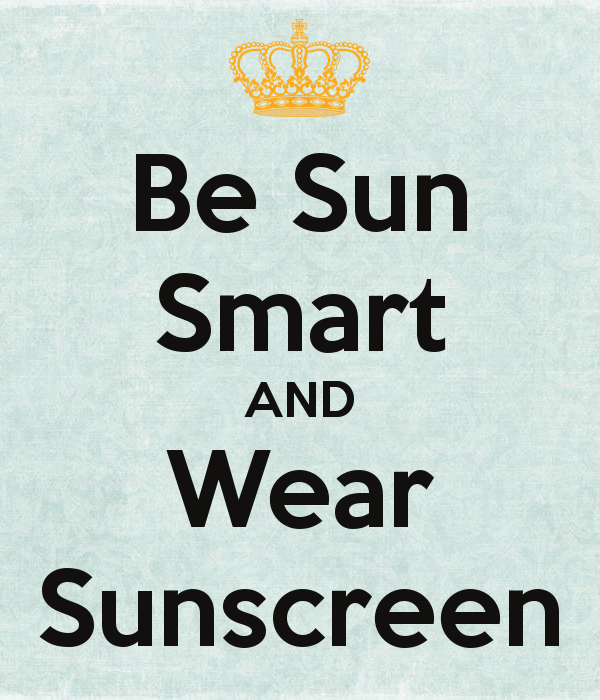 Even if you do, ensure to use an SPF 45 high quality branded sunblock lotion. This is because the harsh rays of the sun would be at its prime when you play. Although you may not feel the heat, but the sun rays would penetrate the epidermis and tan you. Not just a face pack, but use a pack that can double up as a body pack too. After a game of holi, it would be time for you to exfoliate, scrub and rinse the body off. The body is already coated with coconut oil and colors, and only soap wouldn’t help clean you well. Plus the dirt and grime needs to go too; use a besan pack. Mix a teaspoon of curd with half a tablespoon of besan and form a paste. 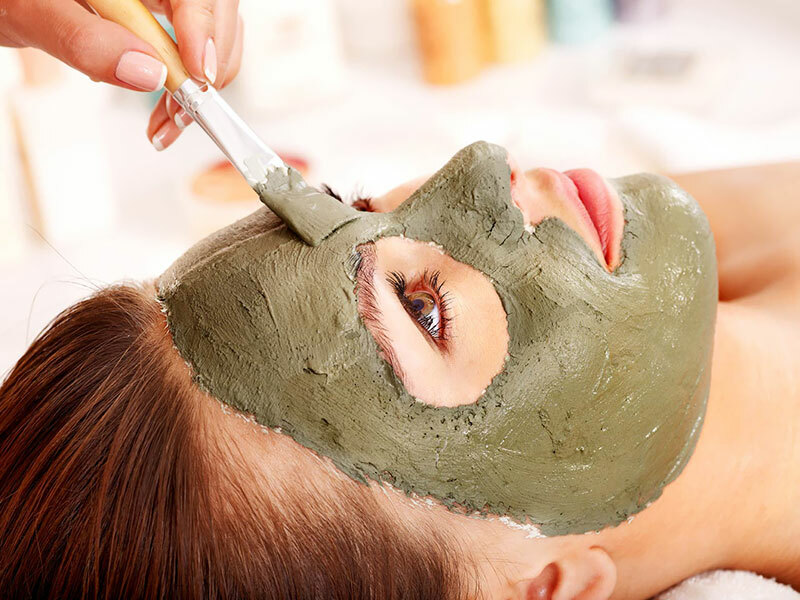 Apply the pack on the face, the neck and the forehead, and any other exposed part of the body. Wait for ten minutes till dry and then head into the shower. Wash off with cold water. For women with very oily skin, you need to have the colors come off soon. Along with that, your skin needs to be hydrated and exfoliated too. 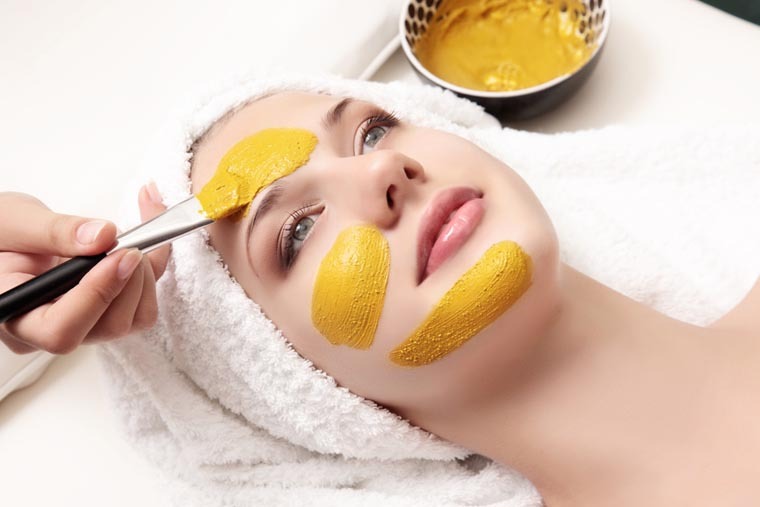 This is why, mixing a tablespoon of multani mitti with curd and lime juice to form a paste would be beneficial for the skin. Apply the pack on the face, the neck and the forehead, and any other exposed part of the body. Wait for ten minutes till dry and then head into the shower. Wash off with cold water. Thick skin is always the soles and the palms, and it is toughest to remove stains from these regions. But worry no more; play holi and remove the colors from here too, with hydrogen peroxide. 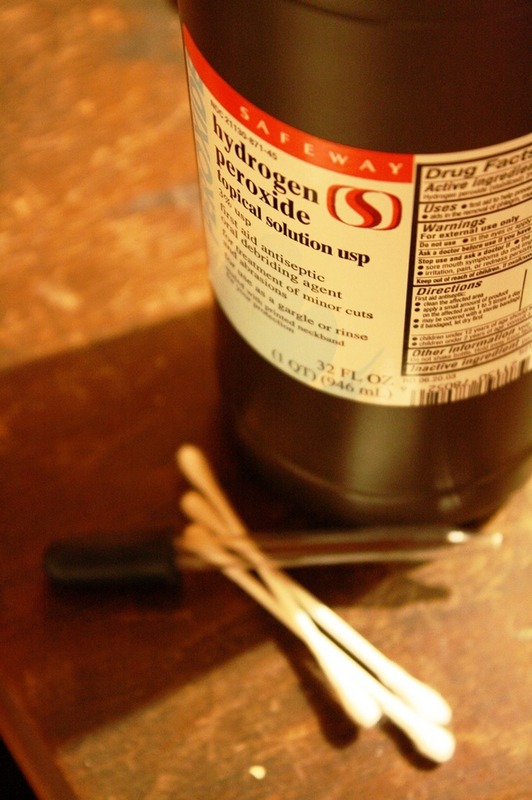 Mix a tablespoon of hydrogen peroxide with an equal amount of rosewater and soak the palms and feet in it. Wait for ten minutes and then wash it off. Bathe thereafter. For women with sensitive skin types and condition, please remember, extra care is needed. For the same, one should apply a generous amount of calamine lotion on the face and the other exposed body parts, before heading out to play. The harsh rays of the sun would bounce away from the calamine deposit and the skin would be safe. You wouldn’t suffer from rashes and itching thereafter. To soothe the skin from the color effects and the scrubbing you did, it would be wise to use a pack. Mix an equal measure of aloe vera gel and cucumber juice; apply it on the areas that need soothing and wait for a good ten minutes. Wash off with cold water and feel the difference. If after your game of holi you feel your skin is too dry, take a chikku and cut it into half. Rub the half onto the skin and wait for ten minutes. 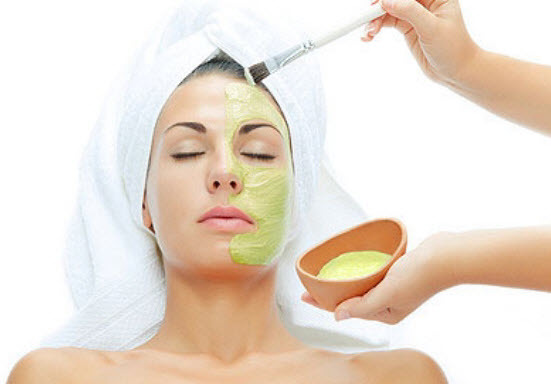 This will help naturally moisturize the skin and there wouldn’t be any irritation thereafter. Have a fun-filled and colorful holi!